Molly’s Cupcakes is a little taste of home found hidden in the hustle and bustle of New York City. Molly’s Cupcakes’ Peanut Butter Nutella flavor, made with a peanut butter cake, stuffed with nutella and nutella buttercream, and piled high with even more frosting and a dusting of cocoa. The tiny cupcake shop lines its walls with vintage lunch boxes perched in glass cases, school textbooks stacked on large shelves, and family board games piled beneath a display of classic books ranging from Shakespeare’s Tempest to Star Wars. Molly’s Cupcakes feels like you’re walking into your childhood living room. 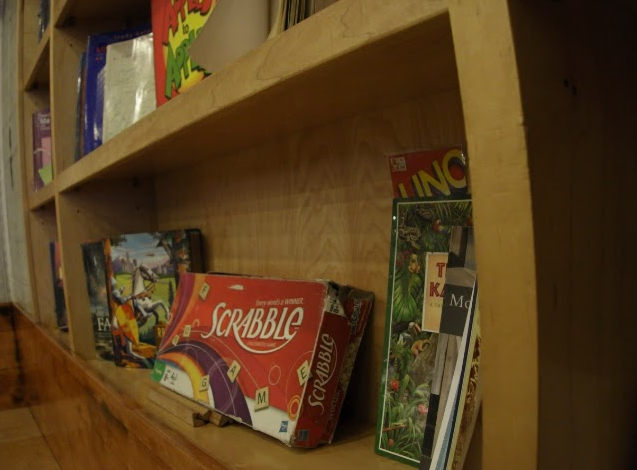 Just a few of the fun games Molly’s has ready to play! 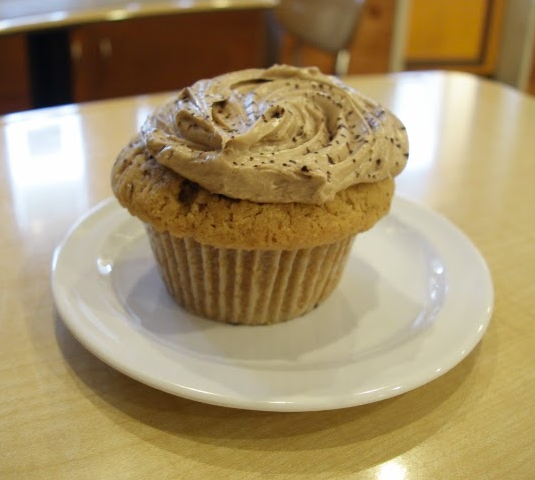 Plus, just like home always did, Molly’s Cupcakes has you covered in the afternoon snack department. They offer classic cupcake flavors like vanilla or chocolate along with some more inventive options like Cake Batter, Boston Cream, and Minty Mash-Up. Some cupcakes, like Cake Batter, feature an oozing gooey center. A peek inside the cupcake: its stuffed full of nutella and nutella buttercream. Yum! Childhood memories of licking the leftover cake batter from the mixing bowl will come rushing back with one bite. While their four dollar price tag may be a little steep for a cupcake, think of it as a small service fee to relax and enjoy the aura of nostalgia while you play Apples to Apples or Trivial Pursuit–and stop by Molly’s Cupcakes to instantly feel transported back to your childhood. Molly’s Cupcakes is located at 228 Bleecker Street. For more information, call (212) 414-2253 or visit mollyscupcakes.com. 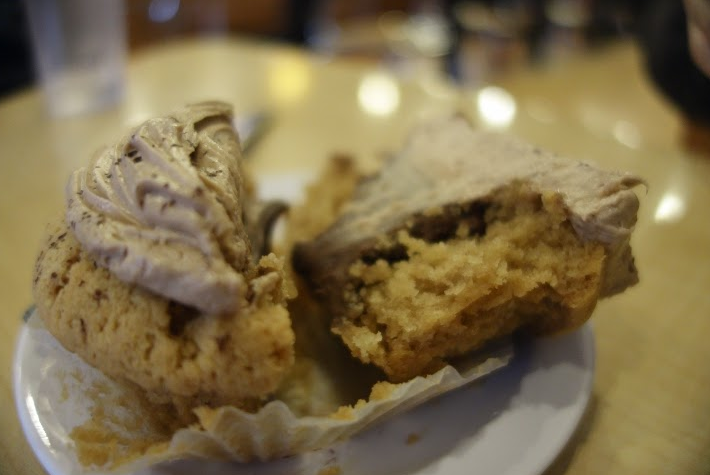 Tags: cupcakes, desserts, Mercedes Chien, Molly's Cupcakes, new york city, review, spring 2015. Bookmark the permalink.